With our slogan “Gaining ground with us” we give a double promise: First of all, when using Schwamborn products you can make perfect floors, and second, it will strengthen your position and make you more competitive because our products are developed in constant cooperation together with professional users and new innovations. The development and technical improvements of our products are in a close cooperation with professional users. This ensures a more efficient and operator friendly floor preparation. Quality is always in fashion. It guides our thoughts and actions and is the most important issue for a longterm and trustful cooperation with our customers. Therefore we understand our customer problems as a challenge to develop with our know-how and experience solutions for nearly any application in the floor preparation and maintenance industry. Ergonomics in line with economy, efficiency and reliability – all these are questions which occupy us to search constantly for better solutions in floor preparation. This is based on a system and follows a certain strategy. Therefore, we show on the following pages how we support a constant process in our product development with our “System Schwamborn”. Only with all the advantages and specific solutions we can ensure to make a perfect floor. We aim to offer a solution for practically every detailed task in floor machining and care. We'll help you to gain ground! That's what we've stood for for more than 80 years – and it will continue to be our mission statement for the future. We promise this. Our motors are powerful and still save energy – ensuring you save hard cash! The name Schwamborn stands for quality, reliability and a long service life. Our engineers continually develop innovations in Germany with know-how Made in Germany which really help you to gain ground. We manufacture in Germany directly at the company location. This ensures short communication channels during development of our machines and continuous feedback between development, application engineering and production. 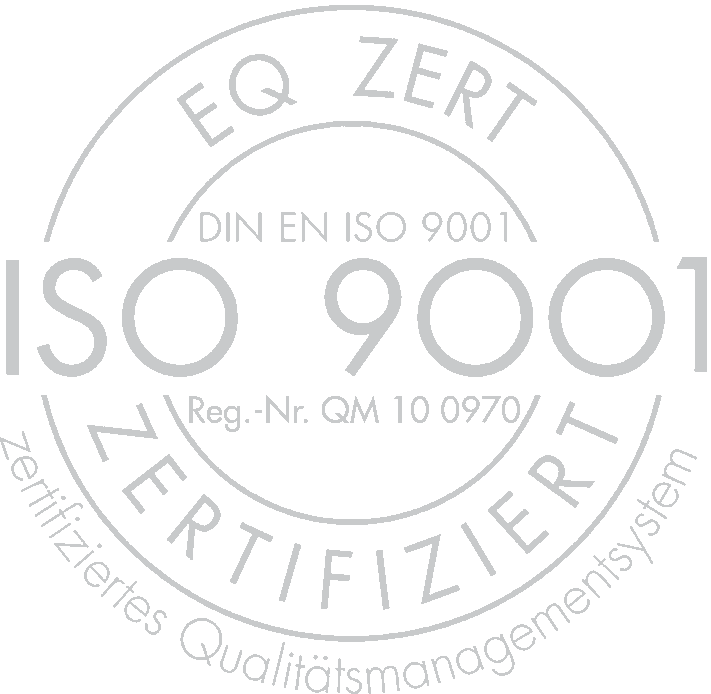 We are certified pursuant to ISO 9001, enabling us to prove our quality management at all times in each production step through constant audits and continuous improvements. Anybody who needs spare or wear parts requires short-term deliveries. Our warehousing system enables us to guarantee exactly this and ensures that you remain productive at short notice and at all times. Any machine is only efficient if it is operated competently and configured to suit the task and on-site conditions. We offer customer training seminars for this purpose that help you to really gain ground. Developing machines to meet ever-increasing demands and the continuously expanding variety of materials used in floor construction is the challenge we embrace. And we succeed so well at this because we combine development, production and application technology on site. Well equipped with logistics networks, we provide short-term maintenance and repair of your machines where necessary. This improves durability and reduces the susceptibility of your hi-tech machines to faults. We provide a 24-hour spare parts, tools and accessories service all over Germany. We use express delivery in all other countries - ensuring you receive your order as soon as possible!